How many months do I have to wait to get paid by Farmers after an accident? How long does Farmers take to process a personal injury claim? How long does it take for Farmers Insurance to settle an accident claim? How long does it take Farmers to send a settlement check? How long does it take Farmers to settle a case? How long does it take Farmers to pay out a claim? Farmers Insurance was founded by a pair of individuals who believed that the lower risks and accident rates of farmers and other rural drivers entitled them to lower premiums. The company was founded in Los Angeles in 1928; a few years later, the company expanded into truck insurance, and later, fire insurance. If you intend on pursuing an insurance claim with Farmers, you should be aware of some key details. For one, there is a statute of limitations on personal injury claims (two years from the date of the injury, although there are exceptions in certain situations); if you take too long to submit a claim to Farmers, the company will reject it, and you won’t be eligible to receive anything at all. It is important that you pay careful attention to important dates surrounding your case. Filing an accident claim can result in various types of compensation. You may pursue coverage for medical bills, reimbursement of lost income at work, emotional pain and suffering, property damage, wrongful death expenses, and more. Speak with an experienced attorney at Kenmore Law Group to learn more about all of the legal nuances surrounding filing a claim with Farmers. The entire process of submitting a claim to Farmers and receiving your check has numerous steps and situations in the middle that dictate the length of time it takes Farmers to settle a case. To begin, you will have to acquire all of your evidence – medical bills, mechanic’s estimate, compensation demand letter, eyewitness testimony, police report, photographs of your injuries, pictures of the damage to your car, pictures of the accident scene, and much more. This may take some time to assemble; once it is all together, you can send it to Farmers, where an agent will evaluate it. How much time does it take Farmers to settle a case? Once the agent has received your package, the amount of time it takes Farmers to settle an accident claim will depend on the amount of evaluation the agent has to do and how much negotiation there will be. It can take a few months or over two years to resolve the claim, especially if the agent is disputing every part of it. How long does it take Farmers to settle a claim? The important point to remember is the evaluation. The more injuries you have and the more types of compensation you are pursuing, the more consideration the insurance agent must give to each point. Further, he will then have to either make an offer or reject it, and you will be able to negotiate for a better deal. You may find that negotiating with a Farmers agent will greatly increase how long it takes Farmers to settle a lawsuit, so it is wise to hire a skilled attorney who can take care of the process for you. You may not have the time to dedicate to talking with insurance agents, especially if you’re injured, undergoing medical treatments, under the influence of medication, or if you have to return to work. How long does Farmers take to send a settlement check? The amount of time it takes Farmers to send a check is 30 days, if they abide by the law. However, there are times when Farmers deliberately delays sending anything and instead tries to refuse payment altogether. In these times, it is worthwhile to pursue a bad faith lawsuit against the company. Once the check has been sent, though, it may take a few weeks to get to you. If you were represented by an attorney, the check will go to his office, and he will then take his portion of the pay and provide you with a new check that contains the rest, and your share. What if I weren’t injured? How long does it take for Farmers Insurance to settle a claim? If you are not pursuing an injury settlement with Farmers Insurance but are instead looking merely to receive compensation for damaged property and lost wages, your claim could be hurried along. This is because many insurance agents would prefer to spend their time on claims that have larger values and could cost them more money. Generally, claims without physical injuries are worth a lot less, and it is not as worthwhile for the insurance agent to negotiate a lesser deal or to reject the claim, especially when the primary evidence lies in a mechanic’s estimated cost and pay stubs from work showcasing your lost income. In the wake of an accident, you may not have the ability to file a claim and reliably see it to its completion. You may not be able to negotiate a better deal from the insurance agent and you might not have the legal knowledge required to convince Farmers that you deserve the compensation you’re seeking. It is, therefore, wise to hire a skilled attorney with experience in dealing with Farmers Insurance claims. We will work around the clock to keep the claim at the front of the insurance agent’s line and will tirelessly negotiate a better deal. We will not back off until we are satisfied with the result. One of the key reasons an attorney is beneficial is because of the time constraints you likely have. An attorney can dedicate most of the day to communicating with insurance agents; it is our job, after all. However, if you only intend to pursue a property damage claim, you may not need to enlist the help of an attorney. Claims dealing with property damage and missed income are generally straightforward and do not need the assistance of a lawyer. You are always welcome to speak with one anyway to determine the best method to go about tackling the claim, though. Kenmore Law Group in Los Angeles is the premier law firm to help with personal injury lawsuits. We have handled claims with Farmers Insurance for many years, and our goal is to ensure that you receive an adequate settlement as quickly as possible. Our lawyers are aggressive and will constantly strive to bring you the maximum restitution available. If we need to take your case to court to fight for your rights in front of a judge and jury, we are willing to do so. Call our law offices today to set up a free legal consultation with a skilled lawyer. All of our consultations are completely confidential – your personal details won’t be leaked anywhere and we will not reveal anything you tell us. We will gladly answer any and all questions you have and will give you the best advice possible about filing a claim with Farmers. 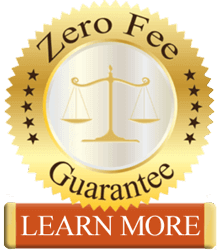 If you choose us to handle your claim, we will give you our zero fee guarantee which promises that you will not touch your own personal finances during the case. We will take care of the costs of the case without you paying any out of pocket expenses, including hiring expert witnesses, filing documents, providing you with transportation if necessary, and more. We will only get paid if we win your case, and the money will come from the settlement we bring you, so Farmers will be responsible for your legal fees. You will not owe us a single dollar if we lose your case, and you can walk away debt free to our firm. We will eat the costs of the case ourselves. Don’t hesitate to get on the phone to call an experienced Farmers Insurance accident claim lawyer in Los Angeles at Kenmore Law Group.